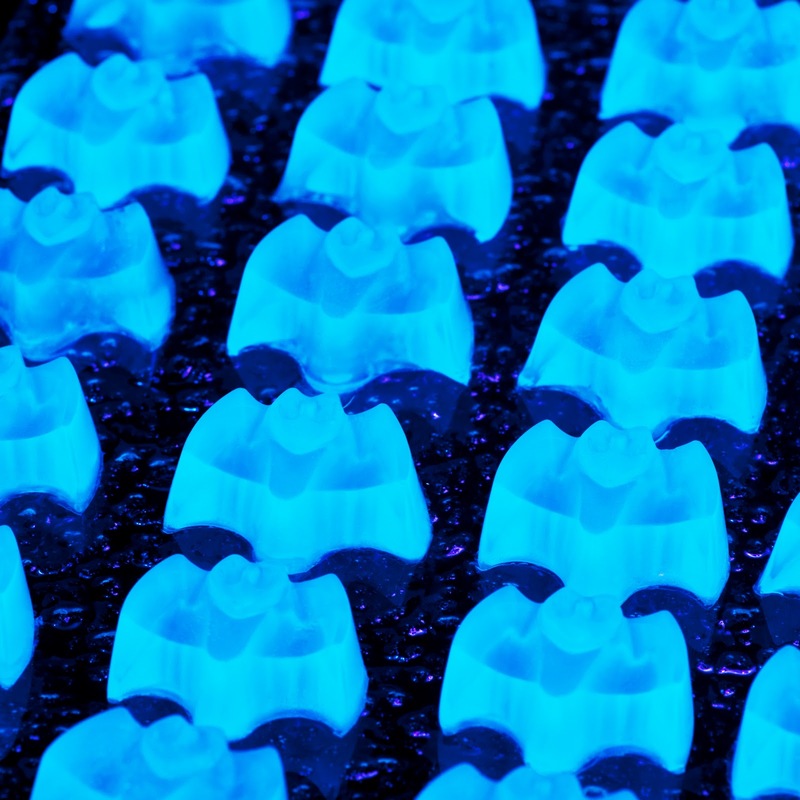 News flash - a flock of glowing vodka tonic bats is headed your way ! I used a Wilton ice cube tray for the bat mold . . . here's the link. These would be just as groovy set in a pan, and cut into cubes for serving, or set in tiny shot glasses, etc. The black light is obviously the key component of presentation here! P.S. Why, yes, gin would be a lovely substitute for vodka . . .